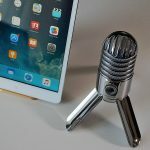 The benefits of podcasting are hard to ignore. They are a lot easier to create than a video, they give your entire business a voice and people love them. 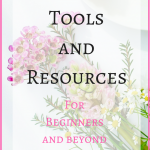 Here i am sharing the best blogging resources and tools that every blogger should use. Some are free and some are paid ones. I recommend them especially for beginners. We have many blogging tools for blogging purpose and obviously, a laptop would be our main source for blogging and writing contents. Are you looking to get more comments on your blog articles, find out killer tips on how to increase your blog Post comments. Every professional has some tools in their pouch that helps them excel at what they do. For bloggers, these tools can be anything from finding keywords to analyzing traffic data, helping them manage their social media accounts or simplify their every day blogging activities. To help you understand what tools works best for you – we asked 66 blogging experts to share their favorite blogging tools. Let’s dive in the Roundup now! In today’s digital world it’s all too easy for us as brands and individuals to let our relationship-building muscles atrophy. We get caught up in a multitasking whirlwind of emails, social updates, text messages, and blog posts/content creation, where it’s easy to let a connection or a conversation fall through the cracks. We’re super-connected, yet somehow disconnected at the same time. This puts us at risk of losing the very relationships that help us prosper as companies and people. It is time to re-build our one-on-one communication skills and muscles that we’ve forgotten in our rush to new technologies. These skills scale via social because most participate vicariously via the few who interact publicly. You want to know my favorite blogging tools and how they have helped me in my blogging activities, here you go… build a reputation for genuinely caring, add value with your content and connection, and the growth will come. A Brand is what you do… a Reputation is what people Remember and Share. Ontraport is my favourite blogging tool. It is more than a content management system. It allows me to create landing pages and optin forms; I can create complex email sequences and campaigns, with tagging and filtering systems that automate my marketing; it helps me integrate membership sites for my products, and gives me in-depth reporting. My business can’t exist without it and I can give my subscribers, who are interested in different things, the right messages. Hootsuite may not be a “blogging” tool, but it is the tool I use to get my blog posts shared correctly across all my social media platforms. I have used Hootsuite for well over 10 years and it is still a great tool that saves me a LOAD of time each day. Yoast SEO plugin is one of those tools you don’t think you need, until you use it. 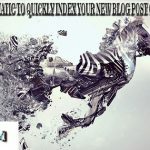 Makes optimizing your blog post for SEO MUCH easier and faster then if you didn’t have it. Plus if you are not super SEO savvy, Yoast will guide you thru nicely. I started using MeetEdgar a few months ago to try and make the blogs for my company and my clients more visible and increase the success from the blogs. The system is by far the best tool I have used, it is clever enough to understand what you want to do and achieve, automatically takes your new blogs and produces a schedule that you can play with over time based on statistics. It should, if you use it correctly increase your followers and interaction and engagement, and this, for just a small fee a month, is worth every single penny. I cannot recommend this enough. I use quite a few tools to help me with my blogging. First, there are the tools that help me come up with ideas, such as Google’s Keyword Planner and RSS readers and other platforms, but mainly Flipboard. I also need an editorial calendar – but I’m no longer using a tool for this, and opted instead for creating my own. Images are very important if you want your blogs to be readable and shareable, so I use Canva to help me create unique images, add my logo and URL and make any other edits and customizations I want. Grammarly is another favourite; with it, proofing and editing my blog posts only takes a few minutes. From time to time, I use some other tools as well – but these are the main tools, the ones which I use almost every time I write something new. I’m a huge advocate of growing a blog via SEO, which means you should do keyword research for every article that you publish. And Ahrefs happens to have one of the best keyword research tools out there – Keywords Explorer. By discovering and targeting the right keywords I can rather quickly grow the “passive” SEO traffic to my blog. That is a much more reliable strategy than hoping that your content will suddenly go viral and you’ll become a celebrity in your niche overnight. I dig Yoast because I am SEO allergic. Meta descriptions and Al tags confuse me. But Yoast makes it easy to fill in the SEO deets that make all the difference in the game of writing search engine ready blog posts. Well worth the effort to download the plugin and use it to ensure you are creating something that Google will likely dig. For me, the most important variable in the blogging process that has a direct impact on results is a project management tool. For my business ventures, Trello has been the best option to interact with m collaborators, clients, other bloggers or to simply manage my personal blogging projects. I like to organize my boards and shortlist them for quick access. From social media tips to business books to read, to-do lists, reports, time tracking, a space to access older articles or create the means to repurpose content, and practically anything related to the success of a project. To the point that I even offer a 15-minutes complementary training to my clients if they are not familiar with the tool, and recommend it to my freelancing community during conferences and workshops. There’s too much noise on the Internet, nowadays, and too many things to keep in check. Blogging isn’t just “writing and publishing a post on your blog”, and then “waiting for things to happen”. Just like a library needs solid bookshelves to do justice for both knowledge (books) and readers, so does your blogging process. And Trello is like a solid bookshelf for my business, which I can definitely rely on. 1. Bitly: I use this for shortening our links, we have custom short domains for our brands, so we use them for affiliates and other promotional campaigns. 2. Tweetbot: We have plenty of Twitter profiles, and this tool helps us to manage everything in one place. Not a complete solution, but it’s good. 3. Moz Pro: Since most of us rely on DA (Domain Authority) these days, it’s good to have this service handy to improve our score. 4. Buffer: This is one of the most widely used Social Media tools, I love this for scheduling some of our updates. 5. Grammarly: This is by default, the only app I regularly use whenever I’m blogging. We all make silly mistakes here and there, so this is a real savior for everyone. perform the in-depth competitor analysis and spy their keywords. Just Retweet – To boost the social shares of my blog posts. 1. WordPress. As a freelance writer, my work includes editing posts on clients’ sites. I had projects for which I had to work on platforms like Shopify and Weebly and my favorite is still WordPress. It’s the best and most utilized platform. So, if you are planning to create a new site just choose WordPress. 2. ShortPixel. It’s a plugin that I recently discovered. It helps you compress all your photos. It helped me improve the loading speed of my site by a lot. 3. Yoast SEO. I used Yoast all the time to do the on-page SEO for my posts. I tried All in One SEO too, but I prefer Yoast. I also like Google Docs. I particularly like how you can share the link to a document with others, collaborate on a post with others, and even use the link to give others a free content upgrade from a blog post. Google Sheets is also cool, for the very same reasons! In today’s world, it is more about working smart than working hard. The right set of blogging tools can make our life easy and increase our productivity to a great extent. Blogging is a profession that I made out of choice. So it is very much important, that I enjoy what I do and off course, how. Being armed with the handy tools plays a huge difference in the way, how tasks are accomplished. A blogger’s best friend indeed. We all know the importanceof keyword research in blogging or for that matter the whole web world. Being a free and handy tool, Google Keyword Planner is one of the most used ones by many bloggers. It gives you an overall idea about the specific search term and helps you to decide whether to go with that keyword or not. Whether you are an SEO person or not, basic onpage SEO is very much recommended, if you want some traffic from the search engines. The Yoast SEO plugin helps you to take some necessary measures of onpage optimization. I may not follow all the metrics of Yoast, but Title, Meta and Permalink are the ones, I never miss out. For me, they are like one set, as these two are the absolute mandates for any webmaster. We must have a clear idea on how our blogs are performing. And Google analytics is the one, where you should go. It gives you a comprehensive idea about your traffic like volume, sources, demographics and others. Search Console on the other hand helps you to maintain the health of your blog. We can find out the search queries that the blog is getting most traffic from and optimize around them for better results. It shows us the crawl errors that need to be fixed. This is also the place where Google sends us the warnings/ notifications, if any. Sumo (formerly SumoMe) is a handy blogging tool that allows you to capture email leads with their pop up and welcome mat options. You can also add social sharing buttons to encourage more social shares of the blog posts. There are other advanced features in the paid version, however, the free version is more than enough for many. Canva is my all-time favorite tool for creating images for my blog and social media channels. It makes image creation super easy for the non-designers like me. And the best part is – you can do so much with the free version. Canva is the complete answer for all my visual needs. Other than these, I also use few other tools like Blog Title Generator, Keywordtool.io, LSIGraph, MailChimp, Pixabay etc. on a regular basis. I always tell my students to focus on posting content that can change people’s lives. If it can’t make their lives better, they don’t want to read it or share it. If it can, they’ll trust you all the way to the bank. Tools will never make you a great, or even good blogger if you’re not giving sincere value to your visitors. But if you’re contributing high quality content, there are many tools available to help you build a blogging business. This helps make your content visually appealing, and includes a killer landing pages component. I think this is probably the most important tool of all for my blog. I get lots of engagement. People often tell me they enjoy the comment threads on my blog site as much as my posted content. CommentLuv makes this all possible. I’d be in a pretty pickle without it. Once I have my content published, I like to share it on a repeated, evergreen basis. Post Planner makes this possible at a fraction of the cost of it’s competitors. Images always need to be worked on. Text overlays, resizing, converting jpeg to png or vice versa. PicMonkey is the easiest, simplest tool I’ve found to accomplish this. This helps me create self-branding images in a snap. Images are critical on your blog, and on your social media shares that create the buzz for it. Canva is a great and uncomplicated way to make all this happen. I use lots of images, screen captures and other visuals. They take a lot of “space” or whatever they call it (I’m clearly not a techie whiz). In other words, images can really slow down your site, and that’s bad news. It hurts your SEO and, worse, drives visitors away when they have to wait 30 seconds for your site to load. With TinyPNG, it takes seconds to drastically cut down the size of your images without losing any quality. Ever wonder if your headline is as good as it can be? Run it through this cool and free analyzer from CoSchedule. If so, make sure they are not duplicate or plagiarized content. This tool makes it simple. Text Fixer has a whole suite of tools that are helpful to bloggers. I use it for the word counter and to remove line breaks from text. Look around, you’ll find things you can use for sure! Amazing way to juice up your social shares and build buzz for your blogging content. 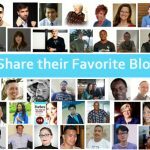 Helps you find other bloggers to connect with, too. I can’t say enough about this incredible WordPress plugin. If you’re an SEO genius, I guess you could live without this. I’m not, so I can’t. Easy to use and incredibly useful. It’s simple to use and flexible, allowing plugin addition so simple. There is no business or blogging tool idea that cannot fit into WordPress. Now, as an SEO lover, Google Search Console is my best SEO tool ever. That’s the tool that helps me know the keywords already traffic traffic to my posts so I can tweek for better traffic. It’s free and anyone can make use of it. Of course there are other powerful SEO tools out there but Google is the source of data for a majority of them. For analytics, nothing beats Google Analytics. That helps me track campagn performance with a deeper insight into what’s going on on the blog. To know which traffic channel works best is a way to leapfrog many barriers and grow your business. I love GA for this. There are some tools which help me a lot. One of the most important for me is Grammarly and Google translate. English is my 3th language and it is sometimes not easy for me to find the right words to express what I want to write .Often I look also for synonyms, because not all words feel right to me and I want that what I write is easy to understand for everybody. And I love to learn new words. Another tool I use often is Canva, for images and quotes and blog title. Canva is a very convenient tool for this purpose. To be up to date I use Google alert for topics which interest me. There are many tools that I use t help me launch and measure my blogging campaign. However, Grammarly Premium is the tool I can’t do without when it comes to creating blog content that resonates with my audience. It’s easy to make mistakes in writing especially if you’re a thousand words in and trying to catch a deadline. You simply can’t afford to sit on your content for days and review them before publishing – you want to post fast and quick to supply your blog with content on the go. Grammarly Premium helps me achieve this by doing the heavy lifting for me – identify 250 grammar errors that most writers commit so I don’t make the same mistakes. The tool ultimately helps me create near-perfect content so I can focus on sharing my ideas on my blog, which is the most important thing. Two tools that have made my blogging much more successful are PicMonkey and BeFunky. Despite the rhyme, they are not related. But they are similar. What both allow you to do is to very quickly manipulate stock photography so that it doesn’t look like a boring space-waster. What I usually do is superimpose the best quote or a quick list onto the photo. This makes the photo much more sharable on Pinterest and Google Plus, and often on Twitter and FaceBook, as well. What these tools have allowed me to do is not just create better images, but create them more efficiently. So on a post like , I’m not shy to create several images that appeal to different social media audiences (and break up the text of the post for easier reading). The result is more sharing of my posts, so I reach a wider audience. and I liked them so well I just never left. This plugin is like having my own personal SEO checklist assistant working for me. The three tools that I count on for blogging are Trello, Google Keyword Planner and Buffer! Trello is great for organizing my thoughts for each post and even potentially collaborating thoughts with others. Google Keyword Planner is my go-to tool for coming up with blog topics that I know are on demand. Last but not least, I use Buffer for promoting each of my posts by scheduling out the most active times to share my content to my followers. which is a social media tool that runs on auto-pilot saving me hundreds of hours a month (no exaggeration here) and also Evernote. I am sure you have all heard of the note-taking app Evernote so I won’t explain what that is but, by having the Evernote app on my computer and on my mobile phone, I can easily write down all my thoughts and ideas and have them all sync up to one place when i am ready to sit down and write my next blog post. It’s a simple tool that does a simple job but I don’t see myself functioning as well without it. I start each day adding my blog post links to my Buffer queue. When I publish a new article, I put 10 different tweets about the article into the queue. On days I don’t publish, I go to Buffer’s analytics and rebuffer my most popular tweets. Since Buffer has an app, I’m able to use it both on the computer and my electronic devices. I would never write a headline without the CoSchedule Headline Analyzer. It’s a free tool that accurately predicts how popular my posts will be! People won’t read them unless they click on the headline. I don’t publish unless my score is at the very least 75. I am pretty dependent on Grammarly. I’m an English teacher, so I pride myself on my writing and grammar skills. However, I’m always rushing and errors get by me. I’m happy to have Grammarly as a backup. Although I use other graphic design tools, My go-to tool is still Canva. The templates are perfect for my needs. If I’m feeling creative and have time, I can design my own graphic. First is something called Thrive Themes. This is a platform that has created a toolbox full of useful tools for business owners. Aside from the awesome themes they’ve created, I think my favorite tool they have is their Thrive Content Builder. This has helped me so much because I’m not a coder and can’t build a website from scratch, but with they’re tool I’m able to drag and drop to design pages that look sleek and professional. My other favorite blogging tool is an oldie, but still a goodie in my opinion. The name of the tool is LongTailPro and it’s a keyword research tool. 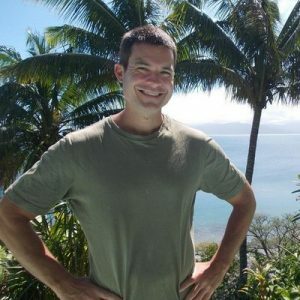 Though there are plenty of other keyword research tools out there, this one is still my favorite and by using it as guidance, I’ve achieved a lot of success in keyword rankings. This tool has helped me mostly because it helps me understand what keywords I’m most likely to rank for, but it also has helped my business grow tremendously because of the insight it offers which allows me to get a lot of organic traffic. Many bloggers, especially newbie’s, have no idea how to spread their content far and wide. One of the best tools I have found after publishing one of my real estate articles at Maximum Real Estate Exposure is Viral Content Bee. If you are looking for more exposure of your content Viral Content Bee is a digital marketing dynamo. With Viral Content Bee you can get people to share your content in Facebook, Twitter, Pinterest and Stumbleupon. Viral Content Bee works on a points system where you accumulate points for sharing other peoples content. You assign a certain amount of points to get your content shared. There are free and paid versions of VCB. I would highly recommend going with the paid version. The beauty of VCB is that you will be getting social shares from people you otherwise would not have reached. This is a great way to build relationships online that can even further develop your online exposure. 1. Buffer – Buffer allows bloggers to easily schedule article shares for later. 2. Just Retweet and Viral Content Bee – Good communities that you can join to get more Twitter shares to each post. 3. Thrive Leads – A plugin that makes it easy to add lead generation forms to your blog and get more subscribers, including pop-ups and welcome mat. Blog posts take a long time to write, edit, set-up and promote – so it’s a shame to create great content that only receives traffic when it sits on the homepage. That’s why we love creating beautiful, viral images for Pinterest – it’s our #1 source of traffic to blog posts. Successful images on Pinterest become evergreen: they are continuously pinned and bring steady traffic to our posts. To create the images, we swear by these two tools. We alternate their use based on the image/collage we want to create since they offer different features and aesthetics. Canva definitely tops the list with their stunning pre-made templates; it cuts creation time significantly. It’s truly hard to name just some of my favourite blogging tools. Blogging is a multi-disciplinary endeavour. ; first, we have the is content creation itself, then comes content promotion, from SEO marketing, to link building, to social media marketing etcetera. And of course all of these tasks will require different tools to complete. That said, I’ll try my best to answer Praveen’s question. In terms of content promotion, my main focus is on link building, SEO and influencer marketing so I rely a lot on Ahref and MOZBar, a handy plugin for Chrome (and Firefox) that determines any domain’s and page’s authority. These tools help me, not only to keep up-to-date with my blog’s link profile but also to find new link building opportunities to pursuit. The Content Gap analysis Tool hidden in Ahrefs.com is fantastic for finding content my competitors rank for that I don’t currently. It’s tough to know what you should be blogging about! Thankfully Ahrefs.com has a content gap tool that can help you identify what articles your competitors have written that are gaining traffic that you aren’t getting so you can “build a bigger skyscraper” of super quality content and grab a new vein of search traffic. Well for me, first of all i use SEMrush, it’s not a blogging tool but it helps in finding new topics and idea’s on which my competitors are performing well, so it helps me in finding new topics and niches to work with. The second blogging tool which helps me is Google analytics, it helps in evaluating the performance of my articles and analyzing my visitors so i can better optimize my site for them. The third tool which i will recommend is Trello, there are many reasons I love this tool, one such is the art of project management, it helps me in writing important tasks which i can do later on, helps me in remembering my monthly goals and a lot more. @StoriesWithGill http://amplifyblog.com/ Buffer saves me countless hours of work, helps me grow my audience and is a real pleasure to use. I’m not a fan of tools. If you are a small business owner, many tools are rather distracting than useful. Do you really need a complicated social media dashboard or the names of everybody who shared your post? So I rarely use anything besides Google Analytics, Photoshop and a couple of tools for keyword research. Except Buffer. I use Buffer every day, and it not only saves me countless hours of work and helps me grow my audience, but is a real delight to work with. I tried many similar tools before, but I chose Buffer because no other tool seemed to understand my needs so well. And the guys won’t stop improving it. Their newly released feature saves you even more time. Now if you want to share one link to multiple profiles with different messages, you can do it from one dialog with just one button click. Besides, they have the friendliest and fastest customer service I’ve ever come across. Google analytics is a necessary staple for any blog and or website and must be utilized. I use Google analytics to understand how my audience got to my content, and how long they spent on each content piece. I check if their initial landing page inspired them to read more content or not. After seeing their usage patterns, and which pieces were the most popular, I post questions on social media, asking if my assumptions were true. I use the data I gain from analytics and social media to create new topics of popular interest and share the most popular pieces to my audience again through email newsletters and social media. BuzzSumo is a tool that helps you find the most shared and engaging content based on website or topic searches. Usually, your audience lets you know what they enjoy reading, but if that isn’t the case, and when creating a content calendar, you need to make sure you are creating valuable content for your industry, that isn’t boring, and people actually want to know about. Buzzsumo is that tool to spark your content creation in a relevant way. Canva is my favorite graphics tool to make my content come alive. It’s free, easy to use and makes it easy to create eye-catching images for any blog post, cover photo and more. The upgraded version has additional features, but if you are working on a budget, you won’t be limited by the free version. Blogging have really changed my life. I remember the days when I just write articles for Fun and soon it has become my passion and now I am a full-time blogger. Blogging is now one of the best ways to earn a living online but wait, to become a successful a successful blogger; you need some good blogging tools. 2. Godaddy: – To start a blog you need a domain name for your blog. For Domain name registration I prefer to use Godaddy. Their pricing are very flexible and you can register your domain at discounted prices. 3. Genesis Framework: – Design matters a lot. Nobody can like to visit a blog with poorly designed. Genesis is a robust framework and helps you to create a professional looking WordPress sites. It is very user friendly and has good security features. I highly recommend it to bloggers. 4. Wordfence: – Security is a big concern among bloggers. Hackers are always ready to steal your content at any-time. Wordfence gives you blog a top notch security and prevent your blog from being hacked. It has some great features like stop spam traffic, block ip addresses, block countries, etc. 5. Cloudflare: – To optimize your blog you need a CDN services. I am using cloudflare for my blog. It helps me to optimize my blog performance and also increase my page loading speed. It also saves your blog bandwidth as well by preventing spam and fake traffic. I always recommend my users to use a CDN services. 6. Semrush: – Keywords plays a significant role in ranking your site in search engine result page. For this I am using Semrush. It’s not only helped me to find the right keywords but also helps me to keep a close eye on my competitors. 7. Mailchimp: – To become successful in blogging, you have to create an email list from the beginning of your blog. Email list helps to make money from your blog if you are doing affiliate marketing with your blog. It helps you increase conversions and leads on your blog. For best email Marketing services, I like to use Mailchimp. They also offer you free account as well to get started. 8. Hirewriters: – Content is the key to make your blog successful in blogosphere. No bloggers can survive without quality and relevant content. I prefer to write content myself but some of you are not be able to write content. To hire a quality content writer for your blog, you can use Hirewriters as well. I also occasionally use them to hire some quality writers for my blog. Here are some of my favourite blogging tools, which I am using on regular basis for my blog. I highly recommend these tools to newbie bloggers as it will help them to become a successful blogger. Probably like most people I use WordPress as my goto blogging software but I spend way more time writing blog posts for other sites doing blogger outreach. 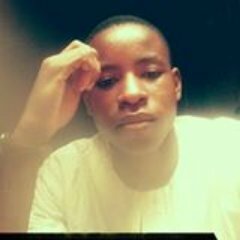 I developed GuestPostTracker.com (a huge curated list of blogs that will accept guest posts) because I was tired of searching out guest blogging sites all the time. I use the list to find guest posting opportunities where I can promote my business. On my blog I have a couple of go to tools. I use Sumo.me to capture email addresses on my blog. I have used other email captures services in the past but for the price (they have a free option) Sumo.me has been a really affective way to grow my email list from my blog. I also use Yoast SEO plugin for wordpress to help me quickly audit the SEO of any post that I write. 1. Grammarly – It helps me to write grammar free blog posts. Be it when sending a quick email or when writing an answer for a request like this :). It is a life saver. 2. Ahrefs – Tracking your site has to be the first priority for any blogger. I can spy on my competitors as well. 3. Email Hunter Pro – It helps me to find emails of my influencers in a click. Thrive Leads – My #1 tool responsible for my email list growth. It’s an all-in-one list building solution turning my website into a “Conversion Machine”. KWFinder – This tool helps me to find low competition keywords for search engines. It simplifies the process in a way that most other tools just haven’t managed to do. Thus, this tool became my crucial tool which I use every day. Semrush helps me do so much research and gives me an advantage because it uncovers dozens of keywords and content opportunities that other people won’t find unless they use semrush, or possibly ahrefs. There’s so much you can do with it, and when it comes to scaling a site, it really does help you double or triple your organic traffic just by improving your existing content or adding keywords in that you hadn’t thought of. Thrive Content Builder on the other hand makes your content look so much better, it makes your site look like a professional blog, and doesn’t have a very long learning curve. My favorites tools for blogging are buzzsumo.com and Portent’s headline generator. Buzzsumo can show you a list of content that’s done well in social media for a site or keyword, which can help spark great ideas for blogging. The headline generator also generates great ideas for blogging based on a keyword or subject that you put in. After Google Keyword Planner tool stopped showing exact numbers for monthly searches, ahrefs has become a go to tool. First, I select keywords that have 20 or more searches a month (for example “b2b marketing tips”) and read posts on the first page of Google. Ahrefs SERP overview tab shows how many backlinks are required to be able to rank on the first page and for how many other keywords that post is ranking on. All those metrics and features help to identify the best performing post and use it as a reference for outline and writing. Without blogging tools, blogging would have been so mechanical that it will take ages to make a living from it. Though they are over 100 blogging tools out there, but I just want to share some of the basic blogging tools I have been using and will continue to use. The interesting thing about these blogging tools is that no matter how far your blog has grown, you will still them very helpful. In that case, even if you are just a newbie blogger, these 4 blogging tools are easy to use, they do not constitute any harm to your blog in any way and still have their free versions. This Amazon owned company helps any blogger in knowing the global ranking of their blog, their blog rank in a of few countries where they get their highest number of visitors, the bounce rate of their blog, an average time visitors spend on their site, some of the top keywords that attract people to their site from search engine, their upstream sites, demographics, related sites, total backlinks (both dofollow and nofollow), etc. Using Alexa, you can easily see the extent to which people stay on your site, some of the major places your traffic comes from, a percentage of your traffic that comes from social media and search engines, the age, interest and gender of your blog audience and some of your major competitors. With Alexa.com, I can monitor the growth of my blogs and at the same time compare them with blogs of other bloggers in my niche. Using the information I gathered from my Alexa report, I can tweak my tags and post content to dominate certain keywords. Consistently monitor details on your Alexa report so as to intentional in your blog posts. How fast your site can load will determine how well it will perform in search engine. Sites have slow loading speed will always struggle to make it to Google first page for any keyword and irrespective of the number of backlink the site has. Though installing Google’s AMP to your site will help it to load faster on mobile devices, it’s important that you consistently check how fast it loads using this blogging tool called, Pingdom. Beyond telling you how fast or slow your website loads, Pingdom will also analyze and proffer solution to help you boost the performance of your site. Using Pingdom, I don’t need my readers to tell me that website doesn’t load fast. I proactively monitor changes in my site loading speed every single week, especially in the recent times we started publishing more of infographics. The truth is, a good of readers won’t contact you about your site’s loading speed but will never return again. Yoast is still one of the best WordPress SEO plugins that is free today. With Yoast, you can optimize your blog content for search engine and reader-friendliness long before it’s published. Using different ratings, you can see areas your content won’t perform well and areas you’ve done really well at. This will help to take the guess work out of your equation as you grow your blog. Beyond that, it also assists you in indexing your blog on search engine webmasters like, Google, Bing and Yandex and also helps you in getting your blog sitemap with ease. Long before my blog post goes live, Yoast helps me crosscheck if my focus keyword is enough and rightly places in the right places where it will grab the attention of search engine and social. Even a newbie can blog like an expert using Yoast. Nothing can be more annoying like using random and shabby images to spice your post. While you may not be able to afford the service of a professional graphic designer to take care of all your design jobs, you can take advantage of any of the graphic design tools. Though they are free, but they also have premium versions. Desygner can be used on your android phone too. With these two graphic design tools, I barely spend much again on graphic designs except on rare occasions where I have a new eBook or special online course. WordPress is the essential blogging tool for every blogger according to me, because it’s open source. On other hand my favorite blogging tool is just Ahref. Because my blogging career is nothing without this amazing tool. When I started my blog, I don’t get any traffic, after spend long time on web I get introduced by the ahref and now my sites get increment in organic traffic gradually. Even that I have some fresh sites which are ranking on top with the help of Ahref. I will recommend beginners to just start their blogging career with this pioneer blogging tool. Even a layman can get ranked on any search engine with the help of ahref. When you have to start the blogging or any website you have to select the CMS for your ease. WordPress provide you the best ease compare to any other CMS. It’s just because it’s free and open source, that’s why so many developer are developing themes and plugin’s to make it more comfortable. After you have the best CMS then you need a proper analytical tool which will help you to monitor your site issues. Ahref is all in one tool which will provide you, keyword scraper along with the traffic analytics. Even that it will you inform you how many keywords are ranked for one article. On which keyword you are ranking and on which state it’s belonged. Ahref is essential for my sites as the water. I wish I had time to write content for all my clients’ blogs, but that is so unrealistic. I love SerpStat for getting content ideas. First I gather my keywords and use their content marketing section to pick out search questions I know we can answer. Once I have the topic & keyword, I send it over to Writer’s Access. It’s great how you can build a team of writers for each individual client. This helps me insure that each client is represented by a team of writers that are knowledgeable in their niche. LongTailPro and Ahrefs for keyword research. I’ve used them to find great low competition, long tail keywords that I was able to rank high for. JustRetweet to get more social shares and promote my blog posts on Twitter. Content Samurai to create presentation-like videos that are awesome to illustrate my posts. My Podcast! Yes, my podcast has helped me grow my website traffic and come up with new blog post ideas at the same time. My favorite blogging tools: CoSchedule Headline Analyzer Tool, Readable, Grammarly, Google Keyword Planner, Google Webmaster Tool, Yoast SEO Plugin, Google Docs, Jetpack plugin and Canva. Proper and perfect blogging tools are very much-needed to get tasks done. Amazing blogs need to be well-written, visually engaging, timely and take a unique and original perspective on the topics that they cover. Right blogging tools will increase the quality of your blog posts, boost engagement, and help you increase users trust and build great relationships with your audience. blog posts and my site. Ahrefs – For analyzing my own or competitors’ site. There are many more, but these are a few which I have been using regularly. And, my most favorites are Grammarly and Ahrefs There are many tools that help me in blogging. I use different tools for different purposes. Though there are a lot of tools, I am mentioning only a few that are most important. MS Word – I use it to write the content. Grammarly – I use it to proofread the content. WordPress – I use it to create ablog(s). LTP &Adwords – For Keyword research. I like using Followerwonk (https://moz.com/followerwonk/) to find out when my Twitter followers are most active on Twitter. Then, when I publish a new blog post, I try and time its publication – and the corresponding tweet promoting the new post – around that time. For example, I used to think that lunchtimes UK-time (where I’m from) were the best time to publish and tweet, but it turned out that 5pm-ish was best. That way, my UK/European-based followers could see it on their commute home, while my US-based followers could also see it (in the morning their time). My favorite blogging tool is definitely my editorial calendar. Without this calendar I wouldn’t know what needed to post on my blog/when and it helps me keep up with campaigns. Some of these are BuzzSumo to see what similar content is out there and who might help promote it, SEMrush to do some keyword research and see how hard it would be to rank the piece of content, various keyword research tools to help inform the verbiage in the content itself, and a host of tools to help with promotion like Hunter to find email addresses for outreach. WordPress is a huge time saver because literally all you need to do is type out your thoughts and hit publish. The posts immediately get added to both the latest feed and archive. The plugins that are available for WordPress make the promotion of the blog that much easier too. Yoast SEO helps with the search engine optimization and ShareThis can help with spreading the message across social media. If you need to monetize your blog than there are plugins to like CodeBard to incorporate a Patreon link or a Paypal plugin where your can easily offer products for sale. The fact is WordPress is the most common platform for blogging and no sane blogger would try to work without it. This is the exact tool I use to create blog images, infographics, logos, etc. I write my blog posts, and this blogging tool helps me in readability suggestions. Obviously, every professional blogger must know this app and most of the time I make grammar mistakes while writing blog articles. It’s nature of the human to make mistakes and so should I’m. Grammarly tool eliminates my grammar mistakes, errors and makes 100% unique content without grammar mistakes. You won’t find any biggest fan of IFTTT like me; I love this social media tool and does all social media work. It saves my time and creating applets are very easy, and without this tool, my social media marketing will be not that so easy like now. Usually, bloggers will have youtube channels for increasing their visitors and branding the company. Using Camtasia, i create amazing videos by using graphics, effects, and music. Camtasia studio tool is pretty easy to use. Best all-in-one SEO tool for ranking my page on major search engines. The price of the tool is less compared to the top SEO tools available in the market. Email marketing tool I use for sending new updates, offers, discounts, giveaways to my subscribers. They even have a free plan which allows us to send 12,000 emails per month having 2000 subscribers as maximum. I do not just use one, I have a bunch of tools I am using for blogging. Let’s begin with the tools that stand first and last in the line. The first is Scrivener – I am very fond of it. I do all my writing and content collection in there. It’s a fantastic tool: fast, rich in features, customizable and has never let me down. The last in line is WordPress. This is where I publish what I write. So, between conceptualizing and publishing is quite a way, and I use a diversity of tools for varying task: Trello, Cardsmith, Grammarly, Hemingway, the Headline Analyzer Tool and Scapple are the ones I use the most. @tlmaurer http://amplifyblog.com/ : Prospects seldom find a Small businesses without a quality blog to market their brand. Word Press: Number One favored tool for me. WordPress allows even those with little tech and web development experience to take the DIY approac. With this platform, it is not that difficult to build and maintain quite an extensive website. The broad array of themes and plugins – many low- or no-cost – provides endless possibilities for small businesses to take their brand to the world via the Internet. Time saved by being able to update and make necessary changes on my own schedule – and for no cost – is extremely valuable for me. I enjoy being the Big Fish in my own pond, rather than waiting to be squeezed into someone else’s schedule. I alternate between Fotor and Canva for graphics and images on my blog. Both are fairly easy to learn. Canva is a bit more extensive than Fotor, but for basic image manipulation, Fotor works fine. Hootsuite: Although this is more of an ‘all social media’ tool, the ability to schedule my ‘Designing Strategies’ blog posts across my social media platforms saves a lot of time. It is not infinite in it’s choices, but lets me schedule to five or six social media sites at the same time. https://www.hootsuite.com There are other automated scheduling tools out there, some free some come with a fee; and they have their own set of parameters. Find the one that works best for you. At the top of my list is none other than Hootsuite. This tool allows you to post social media updates to multiple networks – all at the same time – from a single dashboard. What’s not to like? You can also schedule updates throughout the day or even the entire week, making it a true set-and-forget experience. This has resulted in numerous Tweets going out at 6am, thus helping me gain valuable traffic while I sleep. Bonus tool: Lastly, I often rely on HubSpot’s Blog Topic Generator to brainstorm amazing topic ideas. These tools combined can make for a very powerful (and effective) blogging experience. This plugin helps me fine tune my idea and post into a specific keyword that helps me with search results. In short, it keeps me focused. I just type in my keyword and it tells me how many times it appears in my blog and a green dot indicates that my post is ready to be published. Keyword Planner is my best blogging tool to search popular keywords. I can enter my keyword and Google returns results on search volume and popularity. It also comes up with related keyword ideas that are a great help. Is my topic idea a popular one or not? How should I check it? I run my topic through Google Trends to see search volume for my keyword or phrase. it is use to know the density of keywords. also use to check your age domain, domain authority, and page authority. My favorite blogging tools are WordPress, Grammarly, and Yoast SEO. I come from the non-native English speaking country and don’t have good knowledge of the SEO but these three tools helped me (and still helping me) to ease my job. Having the keen interest of writing, Grammarly is best solving the writing riddles for me.
. Ahrefs is one of these tools. I used to visit it every day, it is a powerful tool to get valuable stats about your blog performance, backlinks, and social signals, other alternatives to Ahrefs do a good job but not as great as Ahrefs. For sharing updates, and to stay connected with my followers and friends, Buffer is my favorite tool. You can schedule your updates and just watch the engagements and interact with them. Long Tail Pro and KWFinder are Awesome tool too, I use them in every single SEO project, they make the keyword research and evaluation, a piece of cake. Tools facilitate your blogging tasks. Without investing in paid tools, any other investment on your blog is waste of money and time. You should at least invest in 2-3 tools to be able to work smoothly and get the desired results. YOAST SEO PLUGIN: One of the best ways to get traffic to your site is by optimizing your blog posts for search engine because organic traffic is the best. Yoast SEO is a plugin that helps you optimize your posts for search engine. CANVA: Images (charts, info graphics, etc) give life to a blog post. Canva is a free tool that makes it easier to create your own images. It saves me the stress of looking for suitable stock photos for my blog posts and social media accounts. WORDFENCE: This plugin provides security for your site. Wordfence is my blog’s security officer. ANTISPAM BEE: This plugin saves me the stress of manually handpicking spam comments on my blog posts. GOOGLE ANALYTICS: This is one of the best blogging tools. It helps you analyze traffic to your and monitor your site’s performance. TAILWIND: I have being focusing on Pinterest these days. Tailwind is my favorite tool for Pinterest. I started using tailwind few weeks back and I have noticed good results. I grew from about 100-pin reach to about 1.5k pin reach. BUFFER: Buffer saves me the stress of sharing my blog posts to several social media platforms. LUMEN5: This free tool helps you turn your blog posts into videos. Our favorite tools that we utilize for our food blog are a Sony A6300 mirrorless camera, umbrella lighting for food photography and a good set of sharp knives. The camera is important to get macro shots of the food and to give defocused backgrounds to use in the featured pictures. Consistent lighting is of the utmost importance in food photography. Preparing food with high quality, super sharp knives makes all the difference. The ability to get thinly sliced onions or a small dice on fresh tomatoes is always necessary. The most important tool that we rely on is time management. Both my husband and I have full time jobs and two teenage kids. Making time to create quality recipe posts can be challenging. We plan what our posts will be in advance and work from a weekly schedule. Here’s the thing though… we can take this concept to another level. Write about not only things the market is interested in… but tap into the conversation that’s already going on in their mind. eg. Questions, current trends, news in the industry. The sky is the limit really. But you need to know what these questions, trends and news stories are. Which is where Google’s keyword planner and Google trends comes in very handy. The first port of call is the Google Keyword Planner. We use use this tool for all every topic that we write about. The tool allows us to tap into phrases, themes & topics that are already getting search volume online – so you know, before you write a word that the topic you’re about to write about is something people are searching for. Now to take this to the next level we tap into trends that are occurring in the industry right now – to make the article relevant and even give it a chance to make it newsworthy and spread further than just our blogs. So here’s what we do. Drill down into our niche using the “Explore Topics” feature and then find relevant trends which we can tap into and piggy back with our content. 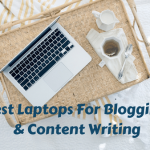 The tools are all free to use and planning your content out this way not only helps in overcoming the all too dreaded writers block, but it gives your blog content a buzz! Being a part time blogger, I get less time for blogging and have to perform multiple tasks in a short period of time. Like many other bloggers, I also use various free & paid tools, to make my daily blogging activities faster and easier. I am using couple of popular blogging tools to perform the necessary tasks like keywords research, competition analysis, backlink analysis, website SEO, image compression etc. Yoast SEO plugin for on-page SEO and few others. By Ahrefs, analysis of my own website and the competitor’s websites have become much easier. It is an awesome tool for link building, building a content strategy and finding relevant keywords. Buzzsumo is perfect to find content ideas and get a glimpse of what people like and share most on social media and KW Finder is awesome to find untapped keywords. I am talking about some excellent SEO tools, that every online entrepreneur need. If you are a newbie in this field and wanna to build your blog’s presence out from the crowd then you must aware of smart SEO tools that help you to grow in professional way. No doubt there are number of tools available when you try to search but not every tool is profitable for you. So here I am going to short out some of the best SEO tools which I am using. I will explain here category wise to make it much easier to understand you. Firstly I am going to tell you the best keyword research tools.